﻿Tests have shown that a new cancer drug, FY26, is 49 times more potent than the clinically used treatment Cisplatin. The research was published in the journal PNAS. Based on a compound of the rare precious metal osmium, FY26 is able to shut down a cancer cell by exploiting weaknesses inherent in their energy generation. The researchers argue that the drug could be cheaper to produce, less harmful to healthy cells than existing treatments and has been shown to be active against cancer cells which have become resistant to platinum-based drugs. The experiments comprising 809 cancer cell lines found that FY26 was 49 times more potent than cisplatin. Similar results were obtained by the National Cancer Institute USA in tests conducted on 60 cell lines. The new drug works by forcing cancer cells to use their mitochondria, the 'power house' of a cell, to generate the energy necessary to function. 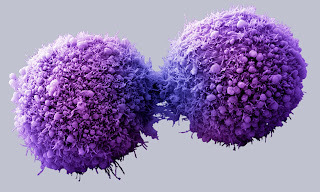 Whilst healthy cells use mitochondria to generate energy, cancer cells contain defective mitochondria which are incapable of sustaining the cell's energy requirements. Commenting on the drug's benefits when compared to existing platinum-based drugs, such as Cisplatin, the researchers said: "Platinum-based drugs are used in nearly 50% of all chemotherapeutic regimens and exert their activity by damaging DNA and cannot select between cancerous and non-cancerous cells. This can lead to a wide-range of side-effects from renal failure to neurotoxicity, ototoxicity, nausea and vomiting." "Existing platinum-based cancer treatments often become less effective after the first course, as cancer cells learn how they are being attacked, but our new osmium compound with its different mechanism of action, remains active against cancer cells that have become resistant to drugs such as Cisplatin." The research could also lead to substantial improvements in cancer survival rates, the researchers suggest. "Current statistics indicate that one in every two people will develop some kind of cancer during their life time. It is clear that a new generation of drugs is necessary to save more lives and our research points to a highly effective way of defeating cancerous cells." Based on material originally posted by University of Warwick.